The St. Kitts Marriott Resort & Royal Beach Casino immerses guests in the culture and atmosphere of one of the Caribbean’s most relaxing and romantic islands. Luxury guest rooms, trimmed with West Indian accents and cutting-edge comforts, are spacious and welcoming, and that same Caribbean flavor sets the tone in eight restaurants and two lounges. 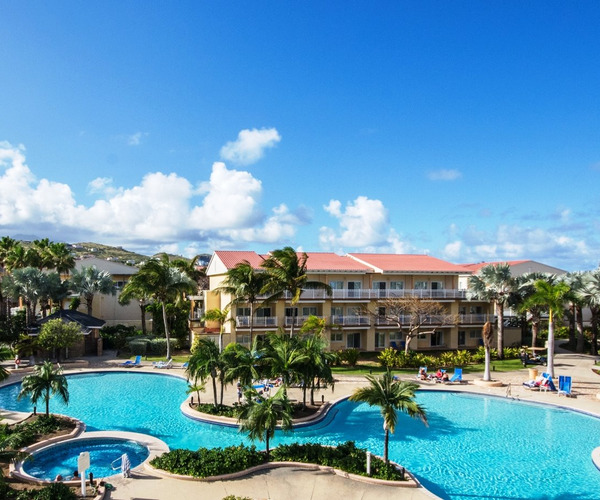 For entertainment and relaxation, the resort also offers the 35,000-square-foot Royal Beach Casino, a championship golf course at the Royal St. Kitts Golf Club, and the 15,000-square-foot Emerald Mist Spa. Here, guests will rejuvenate mind, body, and soul with an endless array of detoxifying body treatments, relaxing massage therapies, nourishing skin-care services, and wellness programs. A sanctuary for the senses, the spa also houses whirlpools, a sauna, and steam room. The St. Kitts spa is designed to be a true feast for the senses in the picturesque setting of this island paradise in St. Kitts. The spa features an impressive collection of delights to choose from, all of which are created to heal, energize, and beautify. From ancient spa traditions once reserved for royalty, to the healing powers of flowers, spices, fruits, herbs, and minerals—jasmine, frangipani, orchids, lemongrass, aloe, lavender, and more—along with the purest essential oils are used liberally to enhance the holistic happening and create the perfect Caribbean spa experience. The breathtaking St. Kitts resort is designed to offer an unparalleled island vacation experience, whether hitting the links on one of the top-rated championship golf courses in the Caribbean, relishing a luxurious St. Kitts spa treatment, splitting aces in the casino, or relaxing on the beach. Wellness options include complimentary access to the fitness center, where a wide range of equipment, including cardiovascular, free weights, strength, and elliptical machines, entices workout fans; personal training services and fitness classes are also available. Graciously appointed locker rooms complement the full-service gym with a sauna, steam room, hot tub, cold plunge, and showers. Those venturing off site will want to reserve a trip on the St. Kitts Scenic Railway, which delivers a unique way to explore the island; visit Cockleshell Bay Beach, renowned for its eco-friendly natural setting; and plan a day trip to Nevis, St. Kitts’ sister island. The Frigate Bay House, Marriott St. Kitt’s main building, provides luxurious accommodations; the resort also includes garden houses featuring guest rooms and one- and two-bedroom suites. Most rooms have private balconies with incredible views of St. Kitts and the Atlantic. Amenities include shower/bathtubs appointed with relaxing massage showerheads, coffee makers, CD/alarm clocks, hair dryers, and refrigerators. Guests enjoy a true dining experience at Blu Seafood Restaurant, highlighting the freshest seafood creatively prepared using local and international inspiration in a stunning atmosphere with 180-degree panoramic ocean views. Warm and sophisticated, the "city-style" Royal Grille Steakhouse serves succulent cuts of beef and seafood, along with an international wine list. La Cucina delights guests with a beautiful rustic setting and a wide selection of northern Italian dishes. 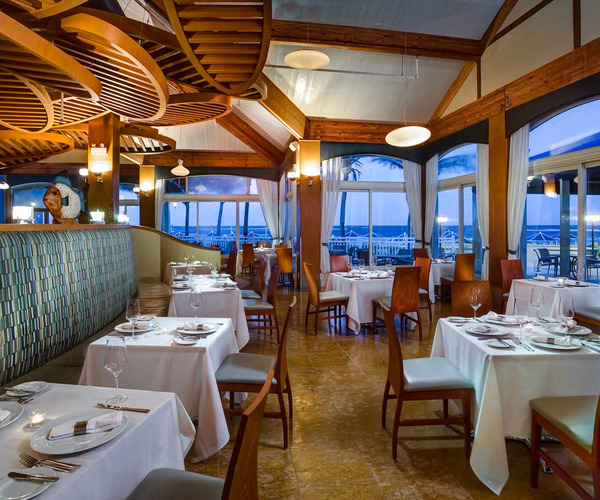 As well, Calypso showcases buffet and á la carte selections emphasizing local ingredients; located at the restaurant’s entrance is its café for light bites. Diners can also discover Bohemia Beach Pool Bar & Grille; Pizza Shack; and Golf Clubhouse Grille.